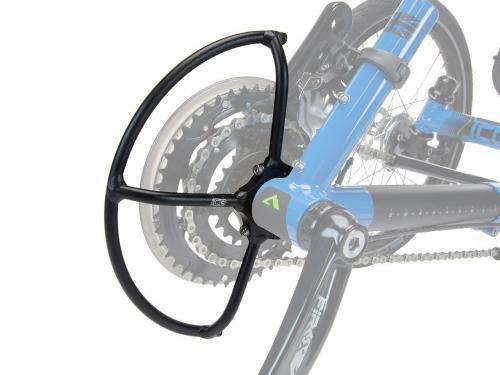 Chain ring guard Designed by ICE, this optional chain ring guard is a light-weight and durable unit made from heat treated aluminum alloy. The guard is an added safety feature but is also very good in preventing you from accidentally brushing against the oily chain rings and avoiding the tell-tale prints on your legs or trousers. 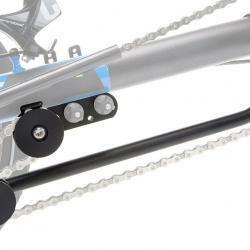 The guard may be fitted without removing the chain set by means of its convenient 2- bolt fixing. A chain ring of up to 58 tooth size can be fitted. 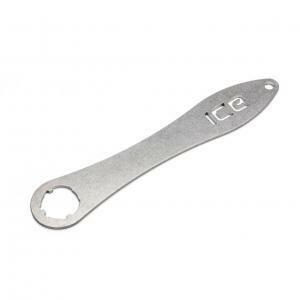 Designed by ICE, this optional chainring guard is a light-weight and durable unit made from heat treated aluminum alloy. The guard is an added safety feature but is also very good in preventing you from accidentally brushing against the oily chain rings and avoiding the tell-tale prints on your legs or trousers. 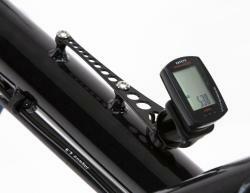 The guard may be fitted without removing the chain set by means of its convenient 2- bolt fixing. A chain ring of up to 58 tooth size can be fitted.